Use it for decorating, gift wrapping, or arts n crafts. 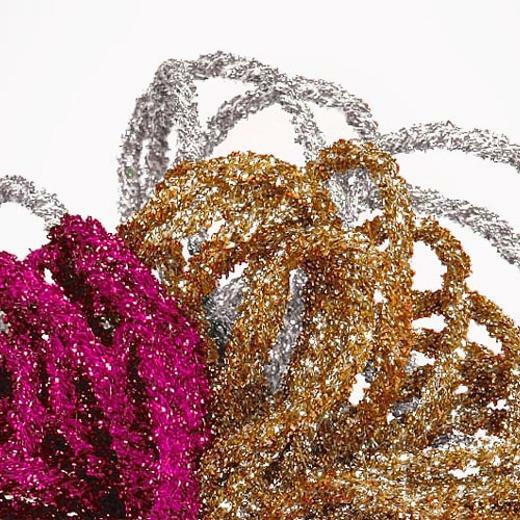 Choose from our extensive collection of sparkle corded ribbons available in an array of metallic colors. In place of regular curling ribbon use these cords as anchor for your balloon weights to add sparkle and shine. These can also be used for decorating, gift wrapping, or arts n crafts it opens a whole new world for balloon bouquet assembly. These sparkle cords measures 9 ft. long and are little under 1/2 inch wide.